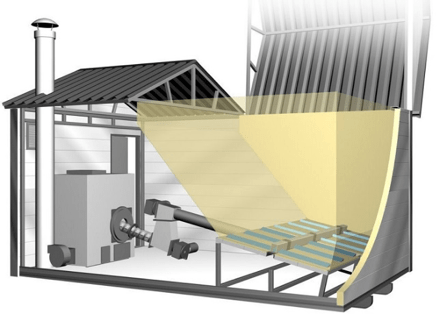 Biomass heating systems are based on automated boilers that burn recently grown plant material to generate heat. Biomass boilers still emit carbon dioxide but are considered to be carbon neutral as the carbon dioxide was extracted from the atmosphere as the plant grew. 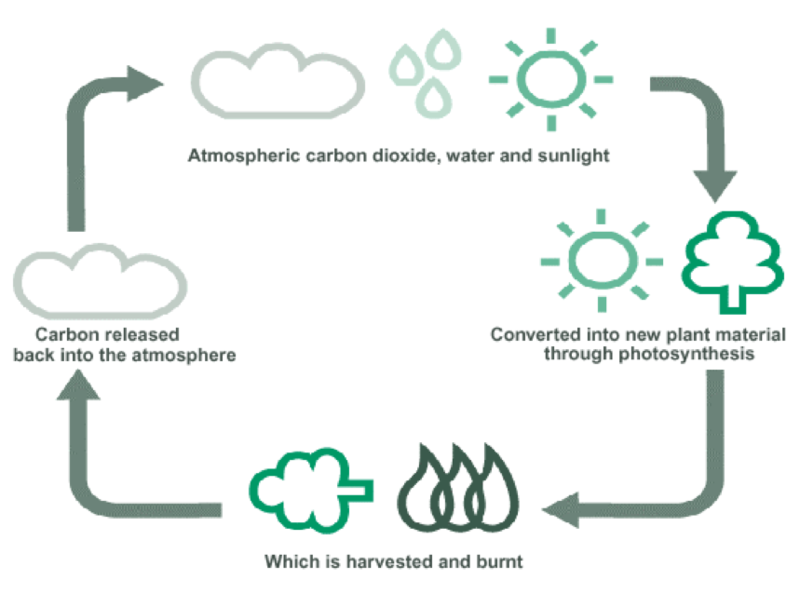 If your fuel is sourced from a sustainable source then the plants will be re-grown taking the carbon dioxide back out of the atmosphere and completing the carbon cycle. Biomass boilers are very efficient, typically converting around 90% of the wood energy into heat. This compares favourably with wood burning stoves that tend to operate at around 75% efficiency. 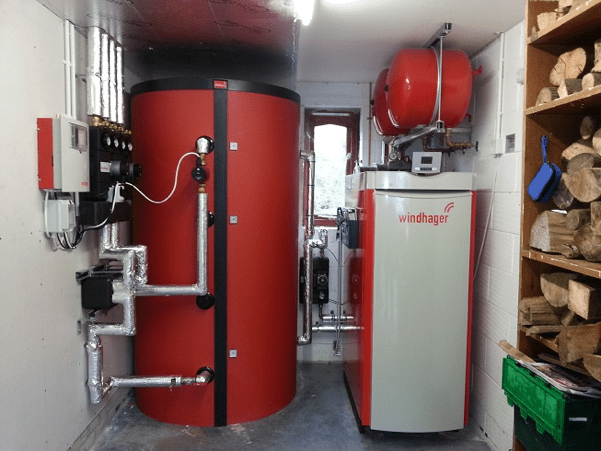 Wood pellet boilers are mainly used in domestic and smaller commercial projects and can provide a like for like replacement for oil, LPG and gas boilers. Wood pellets are made from wood compressed into 6mm pellets that are produced to the European standard ENplus. This ensures a consistency of fuel quality that can be relied on by boiler manufacturers and consumers alike. Wood pellet systems can be fully automated and operate in much the same way as an oil or LPG system with the pellet supplier making deliveries to a bulk pellet hopper. The boiler then feeds itself from the bulk hopper and responds to the demands of the heating and hot water systems with automatic ignition and extinction cycles. A fully automated system requires a relatively large area to accommodate all the equipment and as such are more suited to larger properties where the boiler can be located in a garage, outbuilding or utility space. As with all solid fuel appliances the boiler will need to be cleaned and the ash bin emptied at regular intervals. The frequency of cleaning is dependent on the make and model of the boiler with some requiring weekly cleaning while other will happily run for 600hrs between cleaning intervals. 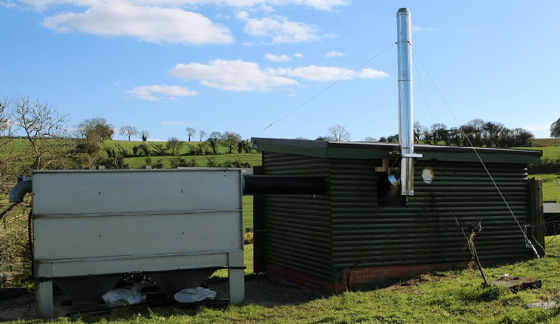 Wood chip boilers tend to be used for large commercial systems or for larger domestic properties where a local fuel source is readily available. Chip boiler installations have a larger footprint than pellet installations and are typically installed on farms, schools, hospitals and commercial premises where a large wood chip store, buffer tank and other plant can be accommodated. For clients that intend to produce their own wood chip space will be required for chipping and processing the wood chip prior to burning. It is important to realise that fuel quality needs to be maintained to ensure the efficient running of a wood chip system. Wood chip should be from virgin sources (not pallets or other scrap wood) and be within the size and moisture content range specified by the boiler manufacturer. If all these criteria can be met then a wood chip installation can represent a very cost effective way to provide heating, especially if the client has access to a wood source and chipping and processing equipment. Log gasification boilers represent a very efficient way to burn logs for heating, typically achieving between 80 and 90% efficiency. 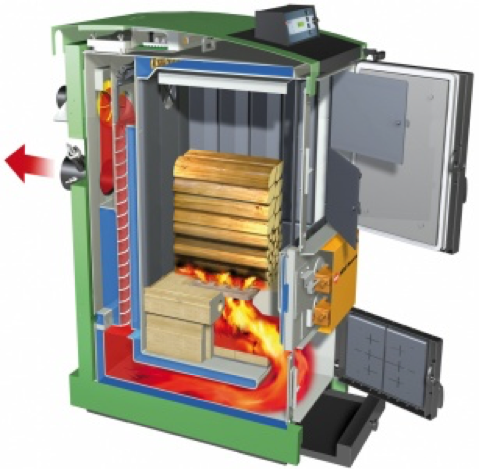 A gasification boiler does not derive the majority of its heat directly from burning the wood, instead the boiler generates wood gas via a process called pyrolysis. The boiler consists of a large burn chamber that is loaded with wood. The fire is lit in the large chamber, achieving very high temperatures that drive gasses from the wood (pyrolysis). The gas is then forced into a second smaller chamber where is burnt to generate heat. Log gas boilers are what is known as ‘batch burn’ boilers. They are designed to be loaded with a large quantity of fuel that is burnt continuously until that fuel is depleted. This allows the boiler to operate at maximum efficiency and get the most energy out of the wood. Because of this batch burn design a large accumulator tank is required to store the heat generated by the boiler and keep it ready for use as and when the heating system requires it. Heating a property with logs requires a large quantity of well seasoned logs each heating season as the quality and moisture content of the wood will directly effect the heat output of the appliance. Therefore consideration should be given the amount of space required to store a decent supply of wood as well as the space required for the plant and accumulator tank. 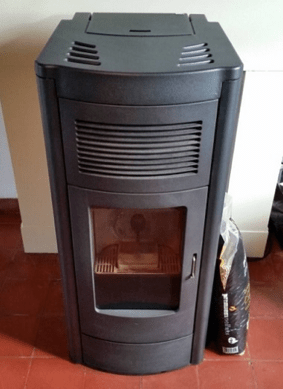 For clients with access to their own wood supply and the time/labour to process the fuel log gasification can offer a very cost effective heating solution.